Travis Cloer & Rick Faugno share playing the role of Frankie Valli in Vegas JERSEY BOYS. Actually, he and Faugno share more than the Valli role. 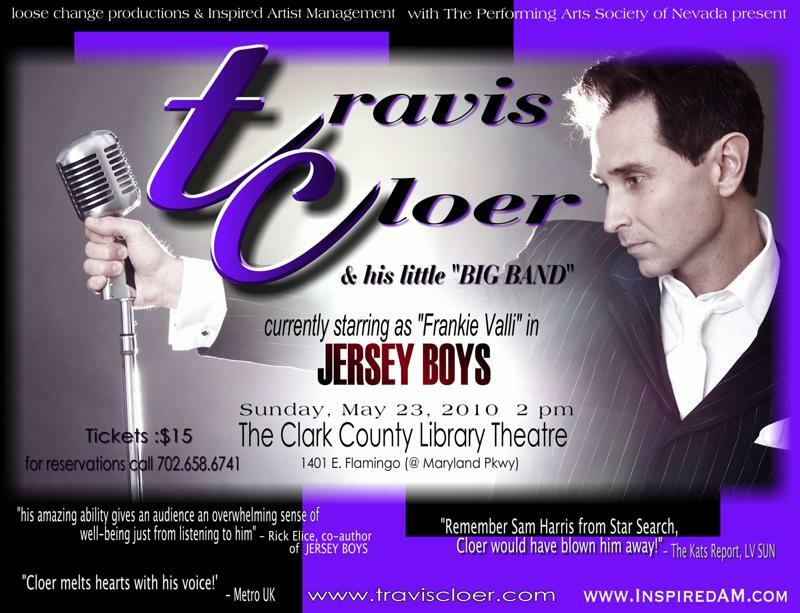 Both are talented singers and dancers with strong desires to perform solo, in addition to performing in “Jersey Boys” at the Palazzo. For several months Faugno has been occasionally performing his one-man show, “Songs My Idols Sang (And Danced! )”, at South Point. Taking a cue from his fellow star, Cloer has dusted off a solo show he has performed off and on for the past five or six years.